A $5 favorite from Trader Joe’s, the Villa Cerrina Montepulciano d’Abruzzo. There’s no information given from Trader Joe’s but this is a DOC wine so according to the rules for Montepulciano d’Abruzzo it must be at least 85% Montepulciano and up to 15% Sangiovese from Abruzzo, Italy. The wine must be aged for a minimum of 5 months prior to release. The Villa Cerrina Montepulciano d’Abruzzo is available exclusively at Trader Joe’s for just $5.99. Imported by Americal Beverage Group. This ruby-red wine is made with Montepulciano grapes grown in Abruzzo – central Italy. It is smooth and well balanced with deep red fruit aromas and flavors. Serve at room temperature with hearty pastas, pizzas and basic red meat dishes. 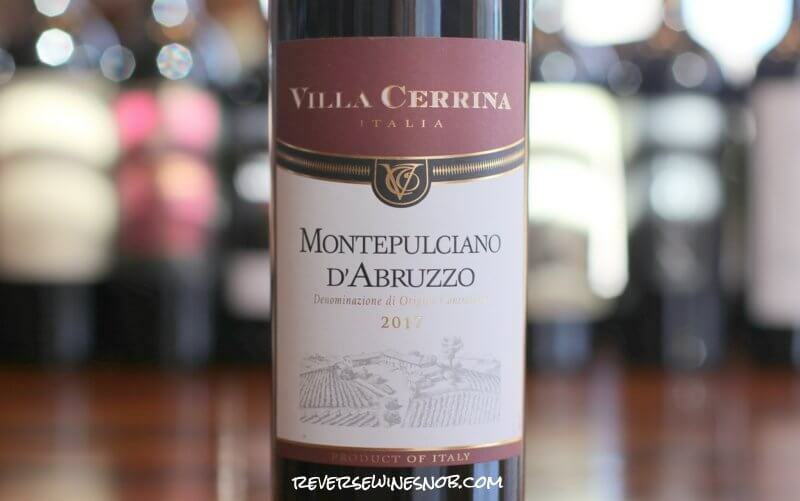 The 2017 Villa Cerrina Montepulciano d’Abruzzo begins with pleasing aromas of black cherry, some dried herbal notes and a little earth. The wine tastes tart, simple and delicious with impressive depth of flavor at this low price. Lots of juicy fruit and hints of earth lead into the dry and surprisingly long-lasting finish. There’s nothing complex about it all but it tastes good and will pair well with lots of Italian foods. At only $4.99 you really can’t go wrong with this one which makes it an easy choice to keep a few bottles on hand. This isn’t one of those legendary values from Trader Joe’s by any means but it is solid and it definitely over-delivers for the price. A $5 favorite! 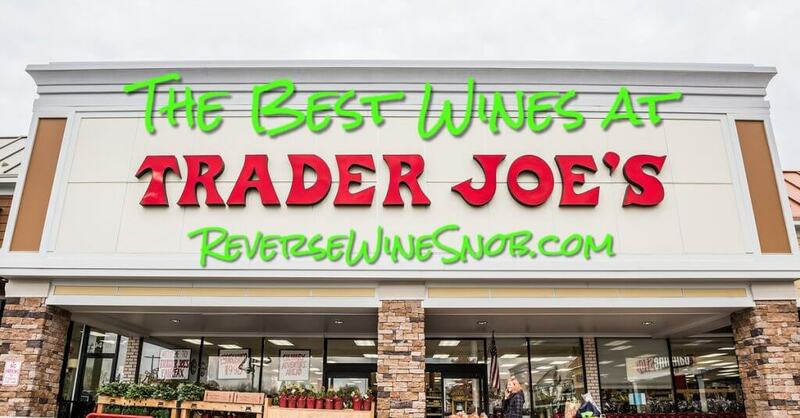 Looking for more of The Best Wines from Trader Joe’s? Click the pic below to check our giant listing along with tips and tricks for shopping the store! You can also find more of our favorite $8 and under Italian red wines here. Once Upon A Wine tries 2 cavas from Freixenet!